Researchers have recently argued that SDT is a fundamental theory of relationship functioning and development. 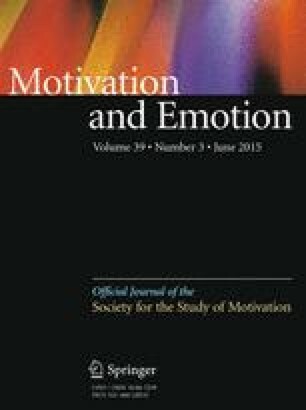 Specifically, prior research has proposed that self-determined motivations to be in one’s relationship—known as relationship autonomy—are associated with more adaptive relationship functioning. While empirical research has explored the association between relationship autonomy and defensiveness, the link with pro-partner behaviors such as support provision has received relatively little attention. The present research tested, across three studies, whether relationship autonomy is associated with more care for one’s partner. Three studies—one cross-sectional, one diary, and one dyadic study—suggest that relationship autonomy is associated with overall supportiveness both in the form of secure base support and basic psychological need support. Additionally, relationship autonomy was associated with less intrusiveness, suggesting that higher relationship autonomy is not simply associated with hyper-vigilance and being overbearing, but rather attention to the partner’s needs. Feeney, B. C. (2004). A secure base: Responsive support of goal strivings and exploration in adult intimate relationships. Journal of Personality and Social Psychology, 87, 631–648. doi: 10.1037/0022-3514.87.5.631. Knee, C. R., & Zuckerman, M. (1996). Causality orientations and the disappearance of the self-serving bias. Journal of Research in Personality, 30, 76–87. doi: 10.1006/jrpe.1996.0005. Knee, C. R., & Zuckerman, M. (1998). A nondefensive personality: Autonomy and control as moderators of defensive coping and self-handicapping. Journal of Research in Personality, 32, 115–130. doi: 10.1006/jrpe.1997.2207.